Congratulation to SAA Board Member Paul Rhymer! Paul's sculpture "ONE MAN'S TRASH" won The Ethology Award for Best Depiction of Natural Behavior at the 51st Art of the Animal exhibition which is going on now at The Dennos Museum Center at Northwestern Michigan College in Traverse City, Michigan. 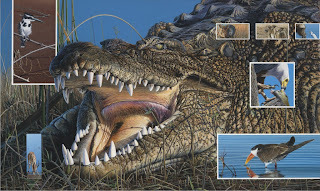 "The Ethology Award for the Best Depiction of Natural Behavior, is an award that best represents NATURAL BEHAVIORS. 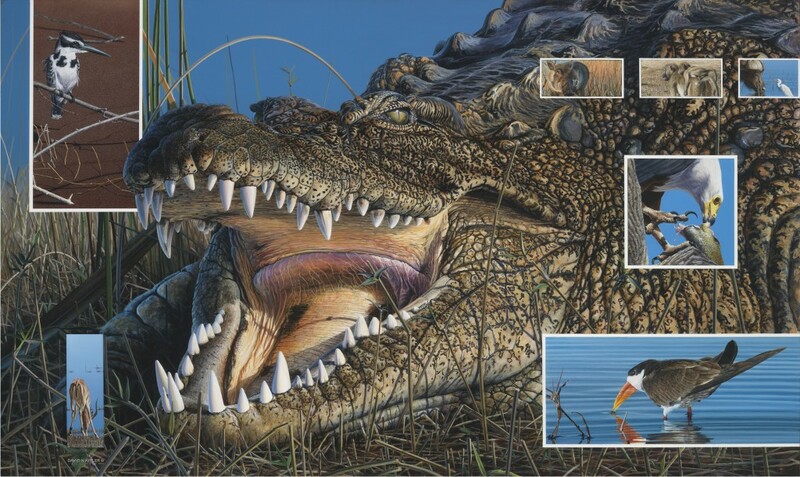 It may be awarded to either 2-D or 3-D work, but the work should depict the subjects engaged in doing SOMETHING that is representational of natural behavior. For example, animals may be engaged in feeding young, courtship, a kill, or grooming – but they should be depicted performing some natural behavior which says something informative about that particular species." 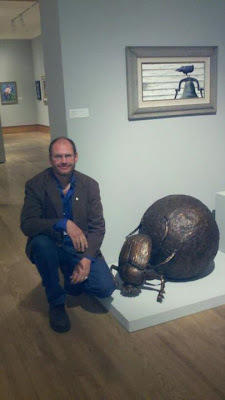 Read a recent article about Paul's sculpture in Wildlife Art Journal titled "Here's To Microfauna!" 51st Annual Art and the Animal Award Winners! James Coe - "Reflections of April"
Sean Murtha - "Sun and Spray"
Cristina Penescu - "Within Reach"
Lori Dunn - "Canine Ancestry"
Brian Jarvi - "Buffalo Spa"
Terry Miller - "Up for the Challenge"
Fred Thomas - "Plenty for All"
Patricia Pepin - " La Vie En Vert"
Kay Witherspoon - "Moose Creek Crossing"
Good luck to David N. Kitler! 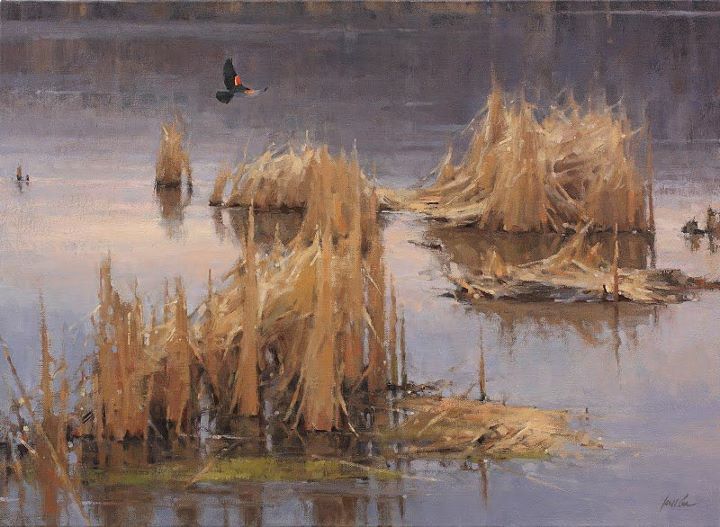 We would like to say Good luck to Society of Animal Artist Signature member David N. Kitler and his painting "Along the Watefront" in the upcoming ArtPrize competition. David Kitler's "Along the Waterfront" will be part of ArtPrize 2011 (www.artprize.org). He is among the 1,582 artists from 36 countries and 43 states, who will be showing their work in 164 venues within 3/4 miles of downtown Grand Rapids. Each artist will compete for the world's largest prize for art ($250,000). Inspired by such competitions as the X-Prize, and large scale events like the Sundance Film Festival, ArtPrize is among the most unique competitions in the art world. It has no formal jury, curator, or judge, asking the public to vote and decide winners using mobile devices and the web. ArtPrize organizers expect more than 500,000 people to attend this year's 19-day event. David's ArtPrize profile and entry is available at www.artprize.org/artists/public-profile/92353. However, this is a large painting that needs to be seen up close to be fully appreciated. David will also be doing live painting demonstrations on Sept. 21-25. So if you live in or near Grand Rapids, check out his painting at the Independent Bank (86 Monroe Center NW). And, while there, make sure to vote for your favorites! To cast your vote for David's painting, use voting ID 47281.